I am not a big fan of fruit punch flavor, but these Fruit Punch Oreos are not bad. A little too sweet for my taste, but the kids love them (of course). In keeping with the fruity flavor, I used fruit flavored marshmallows, but you can use regular ones if you like. 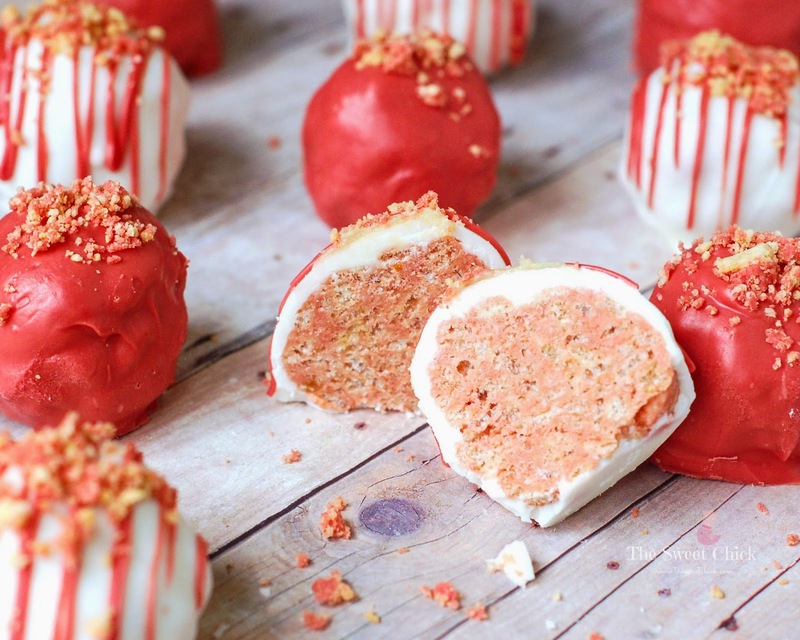 I was originally going to just make regular Rice Krispie Treats, but then I decided to have a little fun. Before the Krispie mixture set, I rolled it into one inch balls, then dipped them in candy melt and decorated. For the pink, I used a mix of red and pink candy melt to match the color of the cream in the Fruit Punch Oreos. For the white, I used vanilla Candiquik candy coating. 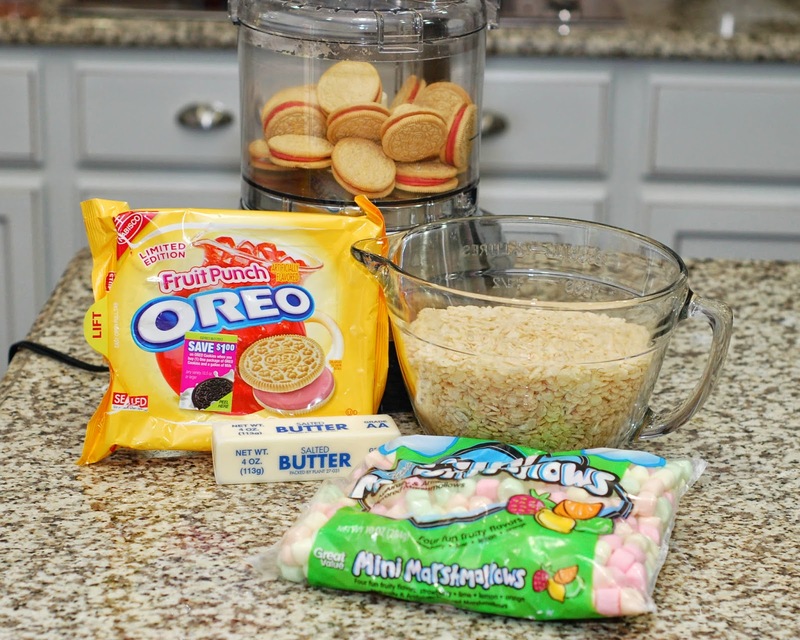 You can add more candy melt to the tops and/or sprinkles. I put aside some of the cookie crumbs to decorate. 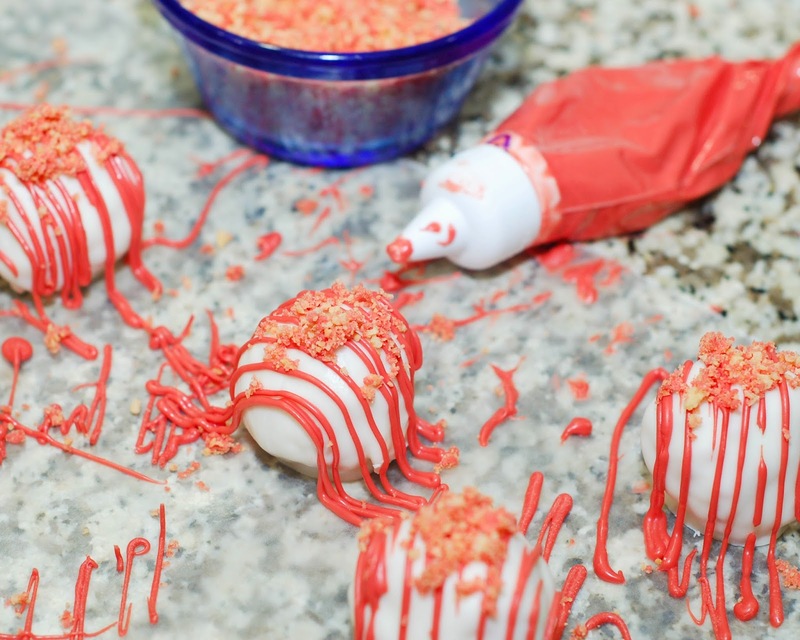 I used the Wilton Candy Melt Decorating Tip Set I had purchased to make the Candy Coated Oreo M&M's for my son's birthday. It works really well and if you need to reheat the candy melt, you just throw the whole thing in the microwave. 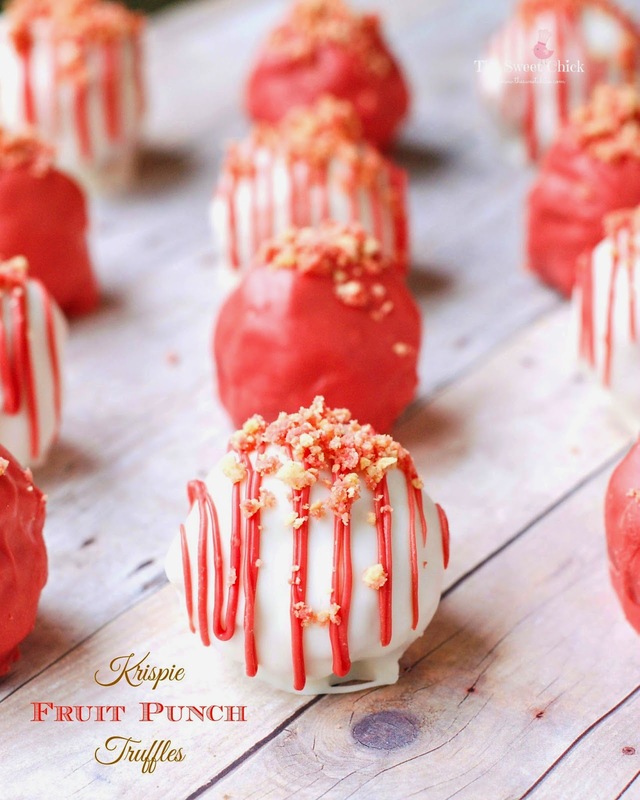 Kids will love these candy coated balls with a soft, chewy, fruit punch center. Plus, they can pitch in and help by rolling all the balls and decorating the tops. I handed my out to some very excited kids at my daughter's bus stop. Then pour the mixture into a greased pan or a cookie sheet. Let cool slightly, then roll mixture into one inch balls and place on wax paper to set. Dip the Krispie balls into candy coating mixture until all covered. (I use a fork.) Once covered, remove and softly tap until excess candy melt falls off. Then place the balls on wax paper until the candy melt hardens. 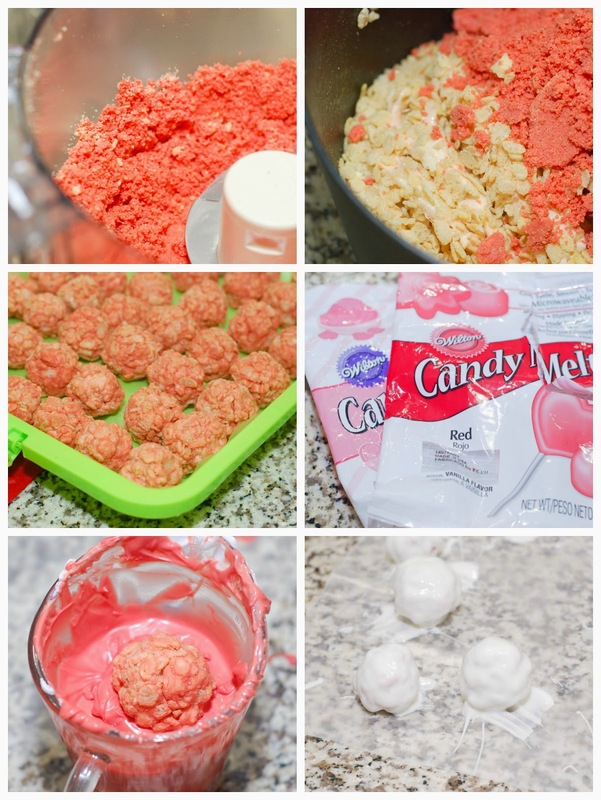 If you are just adding cookie crumbs or sprinkles, add them before the candy melt hardens. If you are adding candy melt drizzle, let the first coat harden, then add the drizzle. You can still add sprinkles or cookie crumbs to the drizzle before it hardens.